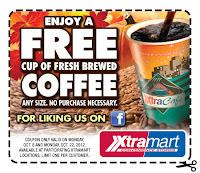 Get a Free Cup of Coffee at Xtra Mart. 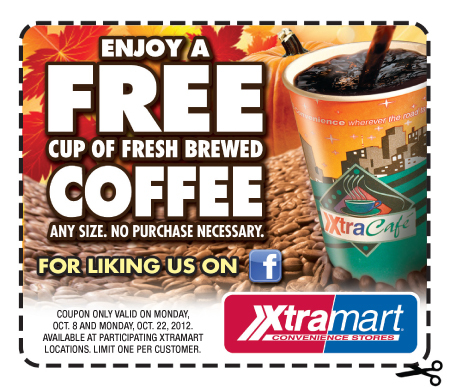 All you have to do is print out the coupon and take it your local Xtramart Store. This offer is valid from October 8, 2012 - October 22, 2012.